The freezing lake immediately caught my attention. 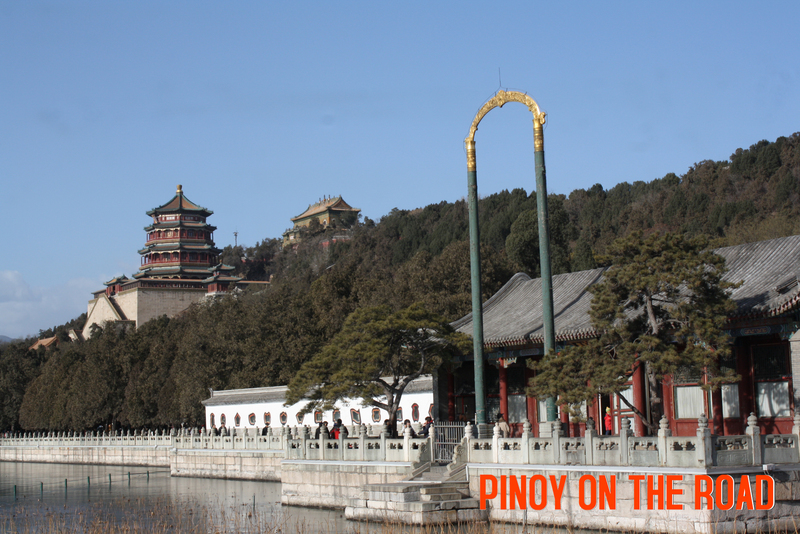 The Summer Palace or the Royal Garden is located ten kilometers to the northwest of Beijing and used to be a summer residence of Qing Dynasty emperors and is now a public park. 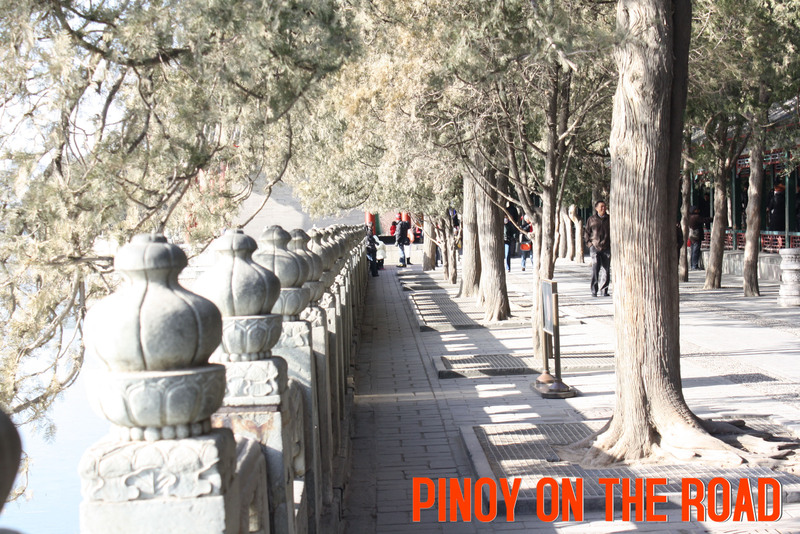 It is an imperial garden famous for its architectural grandeur and gorgeous natural scenery. 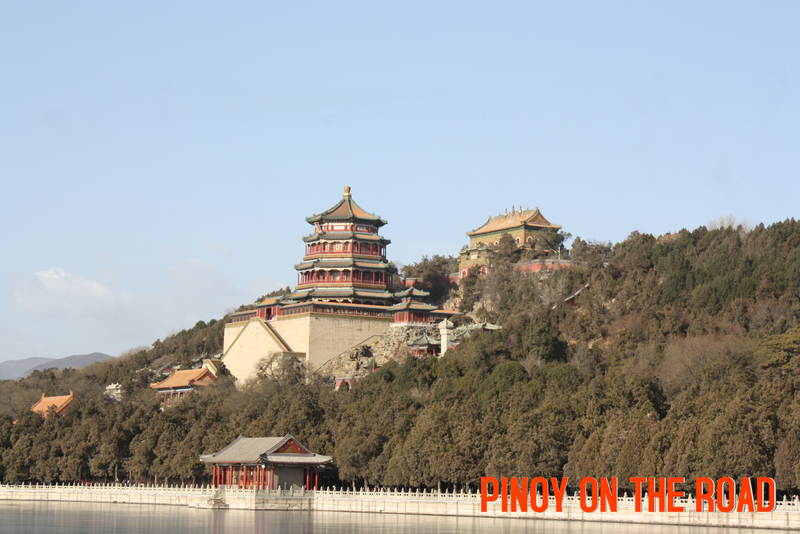 The northern part of the Summer Palace is the 60-meter-tall Longevity Hill. 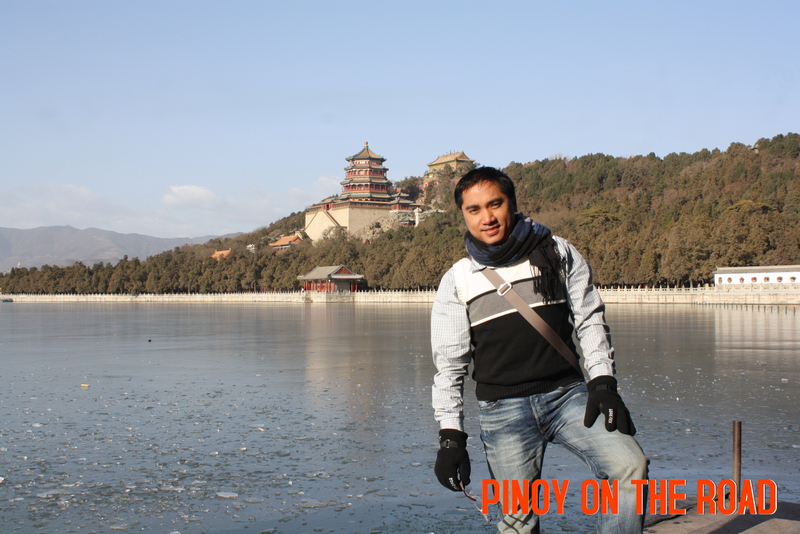 Its southern part is a wide expanse of water called Kunming Lake. 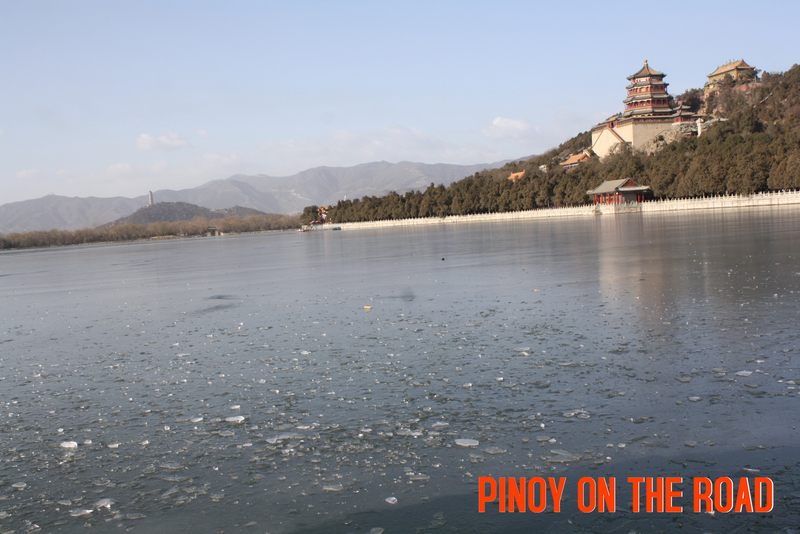 The whole garden covers 290 hectares, with the lake taking up four-fifths of its total area. 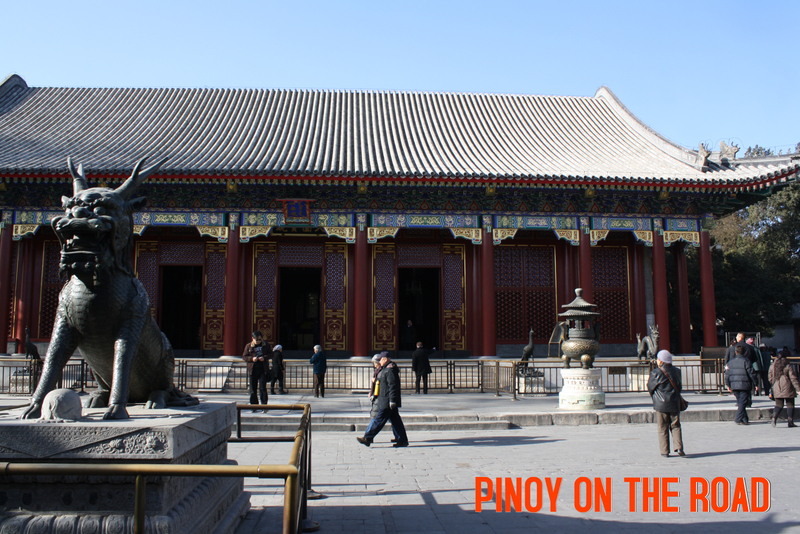 A cluster of grand buildings adorn the middle section of the Longevity Hill. On the slope from the lakeside to the hilltop stand a decorated archway called Jade-Like Firmament in Bright Colors, Cloud-Dispelling Hall, Hall of Virtuous Brilliance, Pavilion of Buddhist Incense and Temple of the Sea of Wisdom. Standing on the top of the hill, visitors command a spectacular view of buildings of different shapes and sizes below. 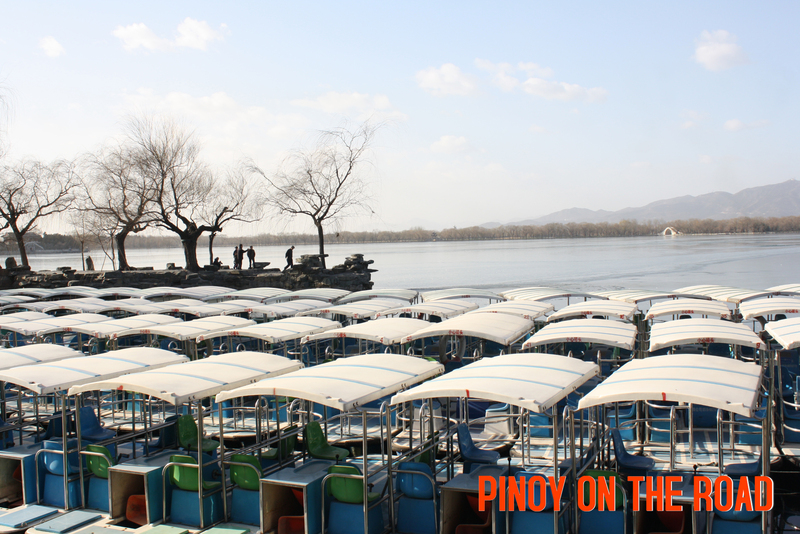 Their golden roofs glittering under the sun; the placid, huge Kunming Lake dotted with rowing boats. A 17-arch bridge that connects an island with the lake’s southern bank. The long, winding west bank of the lake is joined by six bridges and the distant West Hills.